Campbell’s Chunky Soup Victor Cruz Prize Pack Giveaway! Campbell’s Chunky Soup is bringing back its “Mama’s Boy” campaign this season, with New York Giants wide receiver Victor Cruz chosen to follow in the footsteps of fellow players like John Elway, Terrell Davis, Donovan McNabb, and Michael Strahan as the new face of the campaign. A rising star in the NFL last year, Cruz captured the attention of football fans nationwide with a breakout NFL season and revealed his fun-loving personality with his signature “Salsa Dance” touchdown celebration. 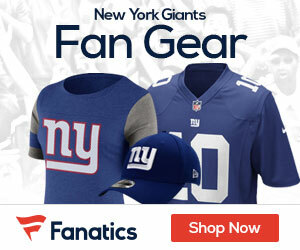 Click HERE to enter the Contest – win a VICTOR CRUZ FOOTBALL and a $100 NFL.COM GIFT CARD!!!! !